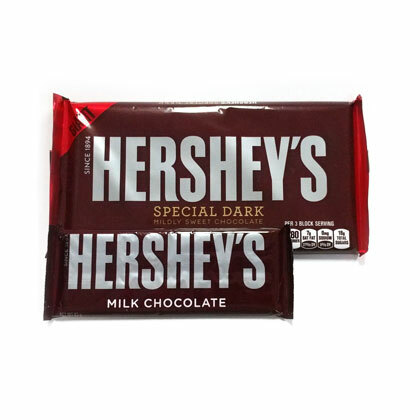 Hershey giant special dark chocolate bar. The special dark chocolate bar is semi-sweet and contains 54% cocoa. Shown with a regular sized Hershey bar for comparison. Bar is approx. 7.5 inches long and 6.8 ounces. 1 bar per order.